1913 Jell-o Jello Ad - Easier Than Cooking! 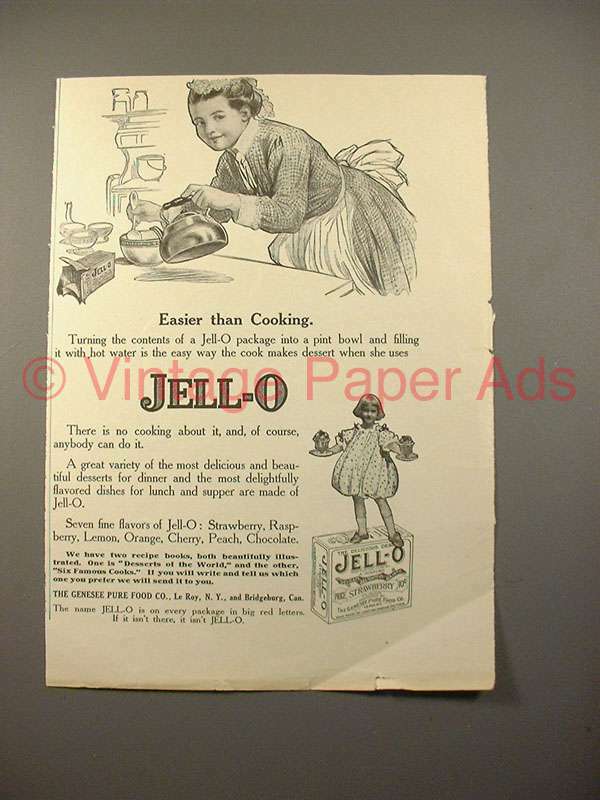 Vintage Paper Ads > Food - Restaurant > Desserts > Jello > 1913 Jell-o Jello Ad - Easier Than Cooking! This is a 1913 ad for a Jell-o ! The size of the ad is approximately 5.5x8inches. The caption for this ad is 'Easier than Cooking' The ad is in good overall condition with some wear, including a crease in lower right. This vintage ad would look great framed and displayed! Add it to your collection today!